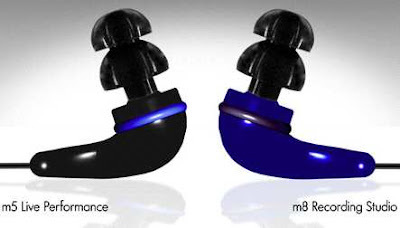 Both AnythingButIpod and Gear Diary had a chance to check out Future Sonics latest earphones the Atrio M5. The Future Sonics Atrio m5s are an impressive set of earphones. I found them to be some of the most comfortable I have ever tried, and the sound produced was distinctly impressive. Let’s face it, $200 is a lot to plunk down on a set of earphones. But if the sound coming out of your player is really important to you, then making this particular sacrifice will be easily justified. Without a doubt, the Future Sonics Atrios are my favorite in-ear monitors at the moment. No other IEMs I know of do so much right and so little wrong. They’re not the most “pedantic” phones out there, but they’re the most musical ones for my tastes. Almost like good full-sized headphones, they make the sound really enjoyable, and they get my feet tapping – no matter what style of music I’m listening to. They are punchy and precise without being fatiguing, they are quite spacious and still isolate a lot. The Future Sonics Atrio M5 are not the cheapest in-ear monitors around, but they’re far from being the most expensive ones you can find. They’re worth every penny, and they give the double/triple/quadruple balanced armature IEMs a run for their money. Highly recommended for people who love to listen to the music instead of analyzing single sine waves.